Per the United Nations Human High Commissioner for Refugee Rights (UNHCR), there are 63.5 million people (1 out of 113 people) who are refugees worldwide. While some refugees receive the aid and service they need to turn their lives around, other refugees are not so fortunate. Some refugees get denied services based on racial ethnicity, political interests, and economic status. The Haitian refugee crisis depicts this unfortunate circumstance. Studies have shown that Haitian refugees have experienced systematic and physical abuse for years without many repercussions. Agencies have failed to abide the policies of the 1951 UN Refugee Convention. This article will explore the plight of Haitian refugees in Brazil and in the United States and the many fallacies of their policies that are suppose to serve in the best interest of ALL Refugees but don’t. In 2010, after a devastating earthquake impacted Haiti, over 76,000 Haitians migrated to Brazil in search of a better life for his/her families. Governmental leaders granted refugees “Humanitarian Status”. Although at first this was a good “gesture”, the Humanitarian visa limits refugees mostly to refugee camps and decreases their access to basic policies. Refugee camps are inhumane and are below satisfactory. For example, in the refugee camp Brasileia, 830 immigrants were living inside of a warehouse built for just 200 people sharing 10 lavatories, 8 showers, with sewage leaks and no hygienic products. In the camp, refugees were complaining about diarrhea due to poor food and water. Even the refugees who were fortunate to get jobs were forced to suffer the unacceptable living conditions of “work camps”. Workers are being abused at the work place (meager pay, no benefits, slave labor). For instance, 100 Haitians were rescued from the mining company Anglo American. Some of the workers had stomach ulcers due to poor quality food and water. Another example; 21 Haitians were rescued from a work site with barely any beds and no water to drink at times. Even workers who are injured at the worksite are provided with very little medical attention. Example; A 26-year-old construction worker fractured his spine and arm. For compensation, he received 70 dollars. Currently, Brazil is experience an economic recession which has costs over 385,000 construction jobs. Conditions in Brazil have gotten so unbearable for Haitian refugees that some have decided to migrate back to Haiti and …. Some have decided to continue their migration to the United States. 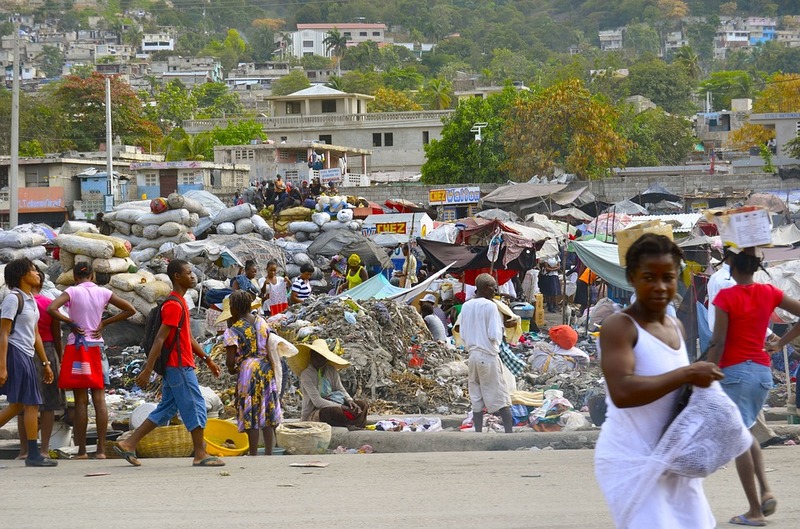 Unfortunately, things are no better in the United States for Haitian refugees. Since 2010, The United States has seen an influx of Haitian refugees. The United States government granted refugees a humanitarian parole provision (Temporary Protected Status ) that allowed refugees to stay in the country for up to 3 years. Recently this year, the Department of Homeland Security Secretary Jeh Johnson announced that the government will resume deportations of Haitian Refugees. Johnson states “The situation in Haiti was improved sufficiently to permit the U.S. government to remove Haitian nationals on a more regular basis, consistent with the practice for nationals from other nations”. It is predicted that over 40,000 Haitian immigrants are currently in transit to the United States with most of the refugees migrating from Brazil after the summer Olympics and economic downturn. There is a dark reality that most of these refugees will be deported without a fair shot to prove why they should stay in the United States. Haitians are now subject to fast-track expedited removal process which allows refugees to be sent to detention centers. The plight of Haitian Refugees is not always respected by U.S Customs and Border Protection Officers and even unaccompanied minors are being sent to detention centers, which goes against the Trafficking Victims Protection Act. It can be said that customs officials do not classify Haitian immigrants as people worthy of refugee status. For instance, in 2012, of the 23,000 Haitians who received green cards, most immigrants received it through only family sponsored petitions (87 percent). Haitian immigrants who did not have family in the United States faced an uphill challenge to get a visa. 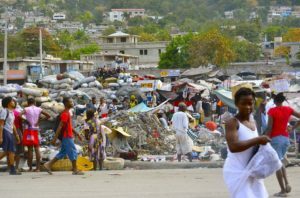 Experts have debated for decades about whether Haitian refugees are being discriminated against by U.S. governmental agencies. THERE ARE FACTS TO PROVE THIS NOTION about the United States questionable and inconsistent refugee policies relating to Haitian Refugees. Haiti remains the poorest country in the Western Hemisphere with a long history of authoritarian rule. An estimated 40,000 people were jailed, tortured or killed between 1957-1986. Before 1991, an influx of refugees came to the United States seeking asylum. During the presidency of Ronald Reagan, Haitian refugees were only classified as “economic refugees” and were unqualified to remain in the United States. This course of action violates the 1951 UN Refugee Convention and the 1967 Protocol which prohibits agencies from deporting refugees that demonstrate a “fear if returning back to his/her country”. I think that Authoritarian rule, torture and murder justifies a refugee being allowed refugee status. To further elaborate on the United States questionable policies, The Sale v. Haitian Council Inc. Supreme court ruling gave the U.S governmental agencies the authority to repatriate refugees WITHOUT A COURT HEARING and states that this action does not interfere with international law. Now fast forward to 2010; the year of the devastating earthquake which killed 230,000 people and made 1.5 million people homeless; over 31,000 people have been evacuated from Haiti to the United States. As of 2016 only 1700 people have received legal status to stay in the United States. To prove more that Haitian immigrants are discriminated against, favoritism of Cuban migrants by the U.S. government is becoming more and more transparent. Cuba ranks as the fifth largest immigrant-sending country to the United States. In 2008 alone, 49,500 Cubans became lawful permanent residents in the United States. In 1966, The Cuban Adjustment Act was created and it permits Cuban immigrants who were living in the U.S. after January 1, 1959 for at least 1 year to adjust to permanent residence status. Further, the Statute was amended in 1996 and it implies that Cuban migrants found at the border (On land) can be inspected and often be exempt from deportation. Haitian refugees never benefited from policies like this. As a matter of fact, The Humanitarian Parole provision provided Haitian immigrants with a “tourist visa” which prohibited immigrants from attaining employment which lead to the temptation of illegal residence and labor. This placed Haitians at a higher risk of being placed in detention camps. U.S. immigration law places no time limit on how long immigrants in detention centers can be held. Due to the disdain of the Cuban Castro regime by US policymakers, experts state that the influx of Cuban refugees are welcomed heavily to the United States because in return, it would weakened the regime. The NAACP and the Congressional Black Caucus argues that U.S interdiction policy is racially bias. (64 percent of population in Cuba is White, 9 percent Black) while the Haitian population is 95 percent Black and 5% percent White. Education and Literacy rates cannot be the sole reason why Haitian refugees are being deported at a higher rate. According to statistics education and literacy rates are nearly identical between Cuban and Haitian Refugees. 18 percent of Haitian immigrants have a bachelor’s degree or higher/21 percent for Cubans. 54 percent of Haitian immigrants has Limited English Proficiency/ 62 percent for Cubans. Only 15% of Haitian Immigrants were classified as Refugees and asylum seekers/ 82 percent for Cubans. All in all, much work needs to be done to provide fair and consistent policies for ALL REFUGEES. For nations that claim to represent law and order, hypocrisy when it comes to the treatment of vulnerable refugee populations should never be tolerated. Everybody, deserves a chance at a stable and prosperous life and governmental interests, racism and bias needs to be halted. With the devastating impact of Hurricane Matthews on Haiti, and the massive deportations by U.S governmental agencies, unfortunately, the future of Haitian refugees is uncertain.